Here’s our first new music blog post in a little bit. Thankfully things have been quite quiet in the last week or so – I guess all the bands are off at festivals rather than uploading new tunes. Two excellent things on for local music fans this Friday. Hidden Trail Records are launching their charity compilation ‘Hidden Brighton #2′ on Friday 12th June at the Latest Bar in Manchester Street, featuring some exciting live music from three blog favourites: the rockin’ Black Rooster Black Shag and two superb electro-pop acts Curxes and Becky Becky, both of whom have released very well-received albums this year. Doors at 7:30pm. Entry is £8 on the door. The album is the Hidden Trail label’s second compilation and features an excellent array of local acts: Curxes, Black Rooster Black Shag, Becky Becky, The Delta Bell, Matthew the Oxx, Clowwns, Cate Ferris, O. Chapman, Momotaro, Grasshopper, Elin Ivarsson, Garden Heart, Jetglo and Alex KP. If this is anything like their first compilation it is going to be really lovely. The launch and album are raising money for an excellent local charity, The Clock Tower Sanctuary, a day centre providing support to young insecurely-housed or homeless people in Brighton and Hove. All profits from the gig and album release go to the charity. If that wasn’t enough, there’s also a wonderful celebration of folk-based music at The One Church, featuring poetic songstress Kristin McClement whose new album The Wild Grips has been getting excellent reviews, along with experimental music from Astra Forward, beautiful alt-folk from Philippe Nash and Hilary Repko‘s heartfelt vocals. It should make for a beautiful evening of gentle music in a charming venue in Gloucester Place, just a few doors along from the North Laine Brewery Pub. Doors open at 7:30pm, entrance by donation. You might have noticed that right now The Hope is covered with scaffolding and has been closed for a few weeks. on 12th February it reopens as The Hope & Ruin, And Riots Not Diets are hosting their opening party, with Shopping, The Soft Walls and Keel Her setting the bar for what’s to come. Another venue which has just had a facelift is The Martha Gunn on Upper Lewes Road. Not traditionally known for gigs, it seems that’s to change in their newly reincarnated form. This Saturday (7th February), Becky Becky headline, supported by a stripped down Fiction Aisle, for a free gig put on by the Flash Bang Band affiliated F=KX. 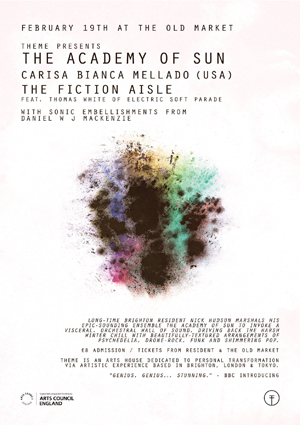 Fiction Aisle are also support for The Academy of The Sun‘s gig at The Old Market on 19th February. 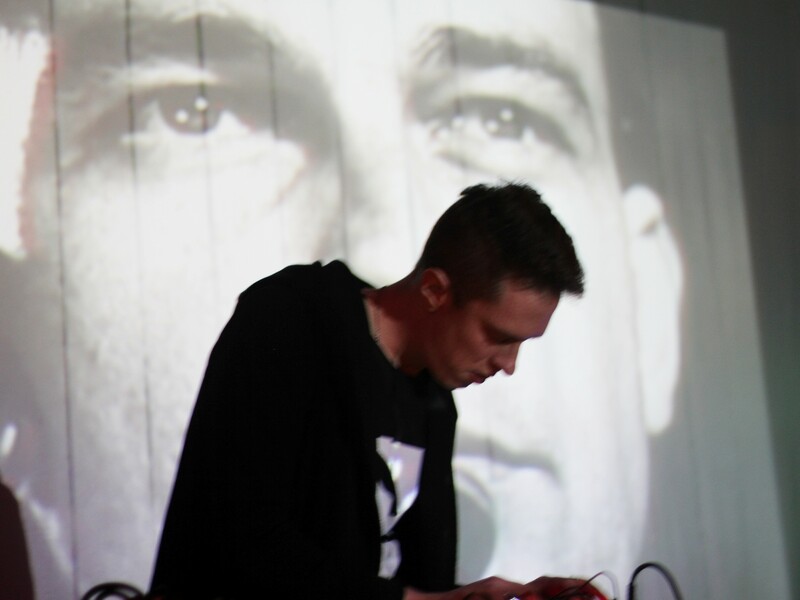 Nick Hudson’s most ambitious project to date have played a few low key gigs so far, but Nick has a history of turning his bigger gigs into events not to be missed. Fiction Aisle aren’t on the bill for the welcome return of The Bleeding Hearts Club, but it’s surely only a matter of time since Bleeding Hearts put out Tom White’s solo Yalla album. The Bleeding Hearts Club has left it’s old home of the Prince Albert and has relocated to a new home at The Rialto Theatre on Dyke Road, with Gary Goodman, The Hornblower Brothers, Tandy Hard and Mudlow playing on 16th February. After this month, they’ll be back every second monday of the month for the rest of the year. Another regular night which is making a return soon is The Harvest Sessions, which are restarting on 4th March at The Komedia, coming back with a bang with Luke Sital-Singh, Jacko Hooper and The Standard Lamps. The following night Della Lupa launches her new single Storm of Swallows at One Church. Not content with just playing a gig, the evening also comprises an art exhibition by Beth Steddon who provided the artwork for the single, a dance performance from the dancers who choreographed the video, and support from Ellie Ford, Summa, and Kwil. Saturday night in Brighton and we were getting our groove on at the Green Door Store for a free-entry night of “intergalactic sounds inspired by outer space” with four local dance-oriented acts, headlined by the legendary psych-rockers Cloud playing what I was told was rumoured to be the opening and closing night of their 2015 World stadium tour. 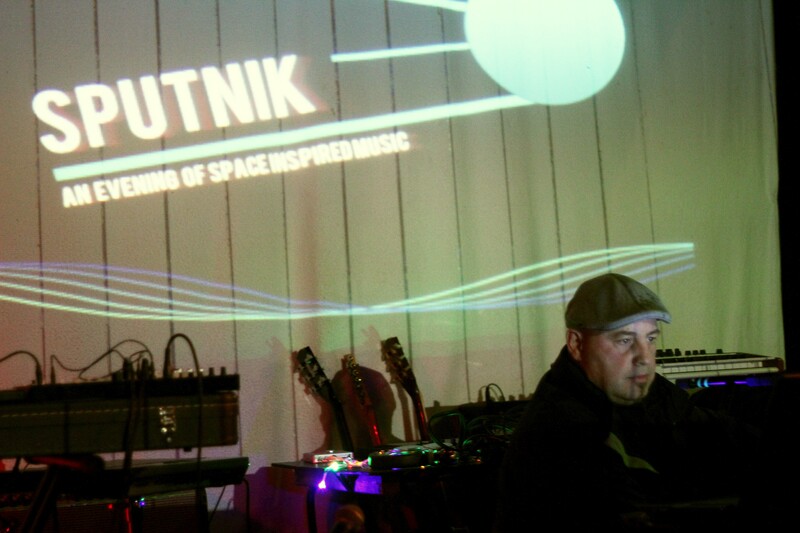 Opening act NJ Strange has been messing around with software and technology-based sound for around quarter of a century and laid down some smooth sounds to introduce the evening. 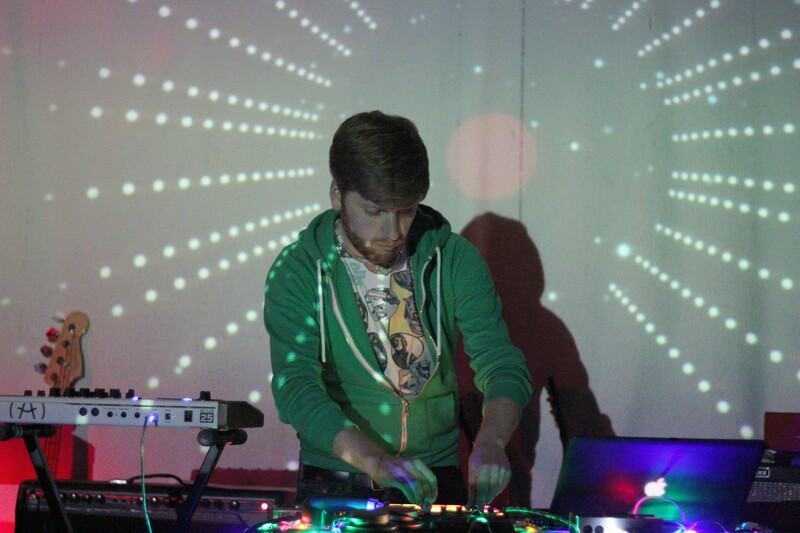 Second on was the electro-dance mix-meister Peter J Mason who is one half of the electro-pop high-drama-duo Becky Becky as well as re-mixer for the likes of Button Eyes, Woodpecker Wooliams and various Fence Collective acts. His high-powered hi-energy set played under the new name JOTA really got the joint moving, and well-deserved the hearty round of applause. 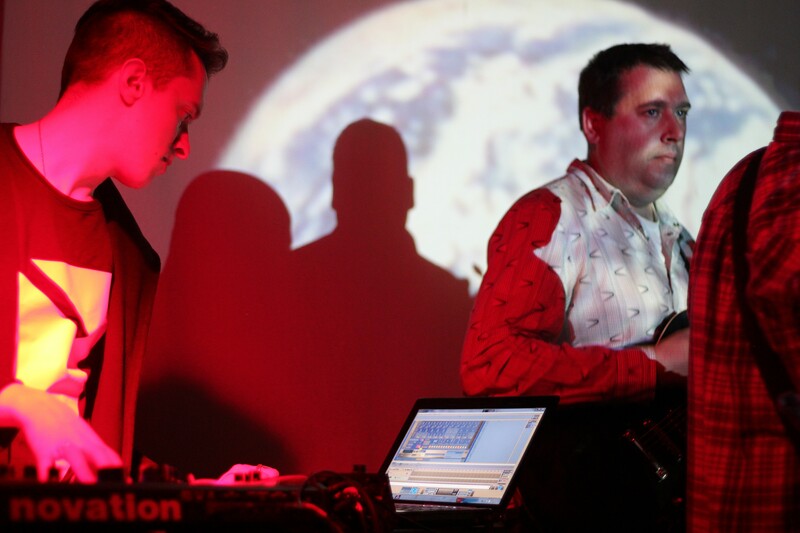 Third act INVADR comprised electronics-wizard Matt Garland who had programmed software to project a space-inspired light-show that was triggered by the different aspects of his 1970s synthesiser-driven dance set. It felt a bit Kraftwerk and a bit Jean-Michelle Jarre. Finally, headliners CLOUD are a bit of a supergroup comprising a movable feast of players from the Brighton music scene past and present. 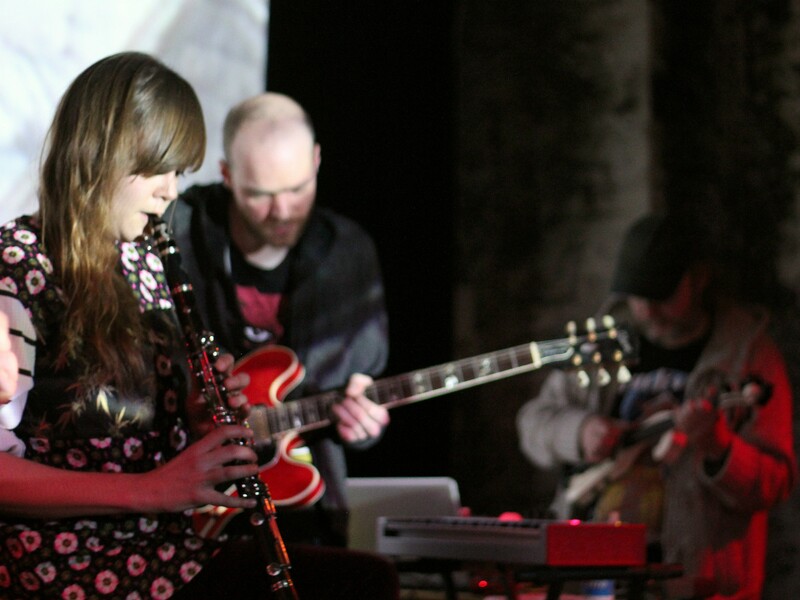 Whilst guitar-based, the group include synths, electro-violin and a guest appearance on flute by Woodpecker Woolliams. The band are infrequent visitors to the stage these days but when they play live their thing is an improvised barrage of psych-inspired rock, with a lot like Hawkwind at their grooviest. They were on very good form tonight and there was a lot of dancing going on amongst the enthusiastic audience. 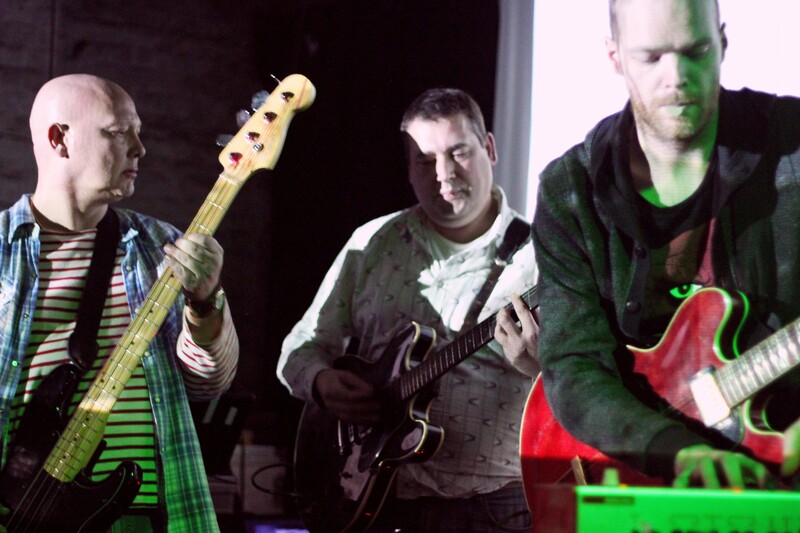 Hopefully we’ll be seeing another space-fuelled psych night like this again soon. This particular part of BMB tends to be a bit of a Grinch this time of year and would be minded to bury any band who recorded a Christmas song deep deep deep in the cold cold snow. But this year the little cockles that warm must have reached my heart because there have been what even I consider to be some very fine seasonal offerings from the local Brighton crew. The BMB mainstay will be back to restart his best-of-the-year list shortly, but in the meantime, here’s some jingle jangle sweetness for you. We mentioned the Random Acts of Vinyl xmas EP a few weeks ago, but it’s so good we’ll mention it again. This time we’ll feature the Delta Bell, with Kate’s beaut of a 60s Phil Spector-influenced song Hey Santa Claus! Next up are our favourite bentcousins, with an anti-Christmas break-up song. It’s simple and endearing, perfect for this time of year really if you’re sipping brandy alone and wrapping presents for one. .
Danny Green was a longstanding Brightoner, part of the Willkommen team and a regular feature on this blog thanks to two outstanding albums until he upped and moved to London earlier this year. However, as Laish he is still one of the finest writers of songs of a Brighton persuasion and he has just released a seasonal EP, with sad confessional songs that recount a depressing stay in a freezing Berlin, inform us that we are unlikely to get a present from Danny this year, and in his annihilation of Silent Night, a reminder that the usual drunken debauchery will probably end up in fighting. I love this a lot. Finally we have a new upcoming release from electro-pop Becky Becky, out on Monday. it’s the usual dirty disco weirdness that we enjoyed on their album this year and you’re bound to love it. Here’s taster track, Bells Ringing, which should give you a flavour of what we’ll get on Monday.